Well, well, well, what do we have here? What you're looking at is allegedly the dual-SIM version of one of the biggest smartphones known to man - the Samsung Galaxy Mega 6.3 DUOS. As you can see, the DUOS variant's styling is pretty much identical to that of the single-SIM Mega 6.3, and apart from the ability to cram two SIM cards into that plastic shell, anything else seems to have stayed the same. What this means is that the handset, which can easily make your 7" tablet redundant, is going to come equipped with a 6.3", 720p LCD display, 1.7 GHz dual-core Exynos processor, 1 GB of RAM, 8MP camera (2MP front one), microSD card slot and, who would expect, Android 4.2.2 Jelly Bean. The Samsung Galaxy Mega 6.3 DUOS will reportedly have the SCH-P729 model number, which has already acquired its Bluetooth certification. We don't know exactly when it's going to become available, but having in mind that the regular Mega 6.3 is already wreaking havoc on the market, we're pretty sure that it won't be long before you can purchase your very own jumbo phone. Another day, another Galaxy..... never gets old. at least samsung understands that there are more markets then the rich. I saw and handled the review unit of the Mega 6.3 in person for the first time a week ago. Gawd, that thing is just too big. Z ultra not yet available here i think; but a phone the size of a passport might make sense for travellers, not me, who uses his phone single-handedly most of the time. Unless maybe in another year or two, flagships get so large that i have no choice. samsung have more galaxies than universe.....!!! Could say the same for Nokia Lumias and Sony Xperias, c'mon, every OEM is overcrowding the market with confusing names and numberings. Only Apple and HTC as of late seem to have done it right and managed not to confuse consumers. Not bashing Nokia or anything as I place them highly in terms of quality equal to Apple, but there's no doubt the numbering gets confusing, 620/720/520/920/925/928 with more numberings which confuse the hell out of you and so on. Think the break to 1020 made sense for the flagship model. There's no denying that Samsung's Android lineup is one cluster fack of a mess but don't have random letters and numbers for their equally confusing range, all OEMs are guilty of producing a phone that looks almost identical to it's sibling regardless of it's number iteration and Nokia/Sony are guilty of this too, only with HTC as of late can you distinguish a One from a Butterfly. And we have the award for the most brain dead ignorant commenter.....congratulations! Same old look. No variation! Just imagine how all these galaxies will all eventually and simultaneously look old when samsung releases a new design! Samsung keeps the same design for 2 years that is why the s3 and s4 look so similar and thats also why phones like the note 3 will look like the note 2. 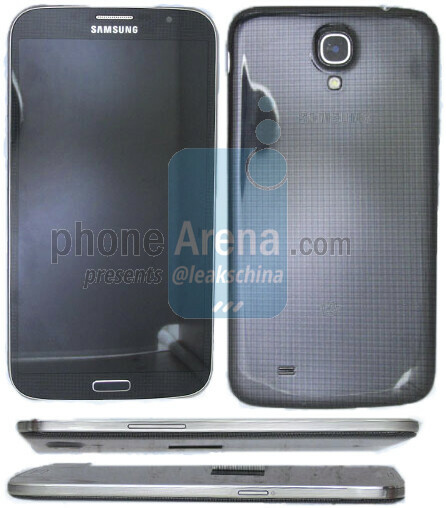 IF you want a new design scheme you will have to wait till the S5 is released. Lol and I thought apple was the only company who got bashed by its same boring designs. I love the screen size. I use smartphones more as a portable media/entertainment center than a phone. I can't remember the last time I've used over 100 - 150 minutes in a month. Problem is this phone is lacking in the stats department. I need more power than this phone is offering so IMHO this is a wasted model. Ok, dunno what happened to my comment but PA's comment system is seriously messed up or i need to upgrade the very ancient iMac. But the Single sim version has 1.5 GB RAM, isn't it? Where the hell is all this Samsung hate coming from? Someone please explain or is it just a few Nokians who belive Samsung is their mortal enemy! Wow great!!! I liked the design of original Mega 6.3 and not of 5.8, but 5.8 has smart dual sim feature which I wanted in Mega 6.3 and now they have come up with this (hope smart dual) and my wish got true. I'm happy :). Now Looking for the price which needs to be same / less as that of single sim one.